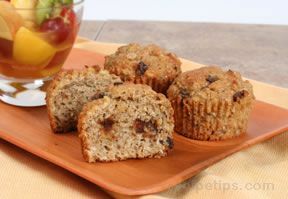 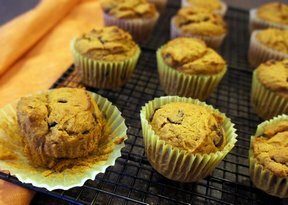 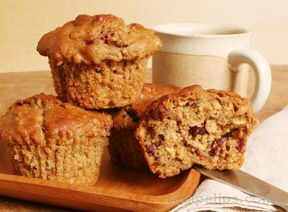 Try these healthy pumpkin-flavored muffins for breakfast as a great start to your day or for a tasty afternoon snack. 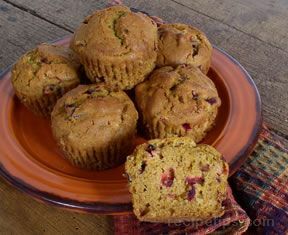 See how to make these muffins extra special by making your own pumpkin puree from a fresh pumpkin. 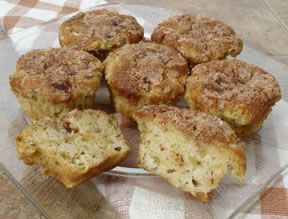 Line the muffin tin with foil muffin cups (liners). 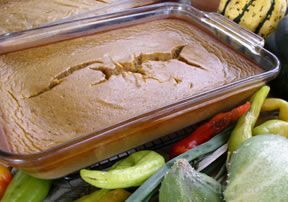 Foil is suggested because of the limited use of cooking oil in the ingredients. 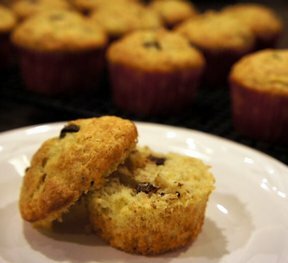 The foil will allow for ease of releasing baked muffin from liner. 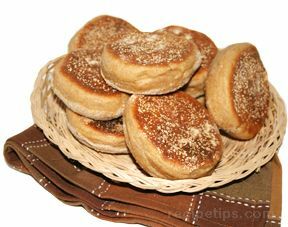 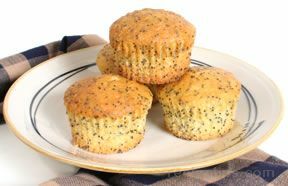 If no liners are used, coat each muffin section in the baking tin with vegetable oil or cooking spray. 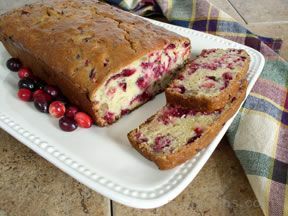 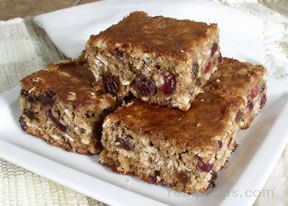 In a large mixing bowl, combine flour, oats, brown sugar, cinnamon, cranberries, pie spice, baking powder, baking soda, and salt. 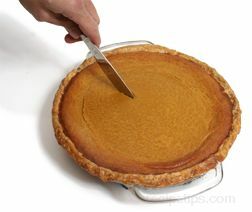 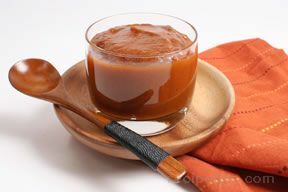 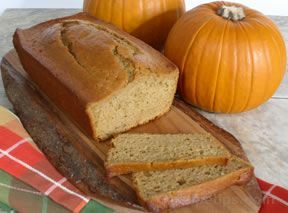 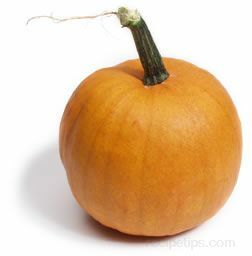 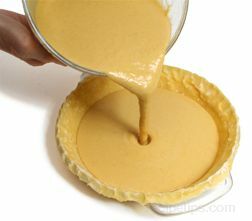 In medium mixing bowl, combine canned pumpkin or sweet potato puree, milk, eggs, oil, and vanilla, mixing together well. 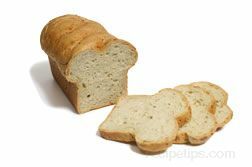 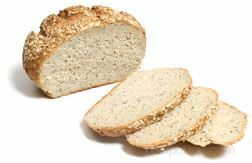 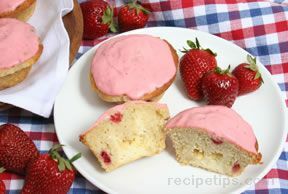 Combine moist ingredients with dry ingredients, blending together just until moist. 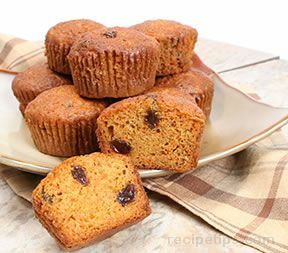 Fill each muffin container in the pan with ingredient mixture. 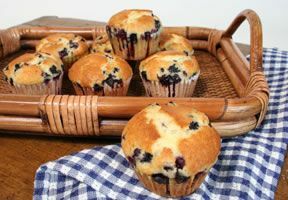 Bake for 20 to 25 minutes. 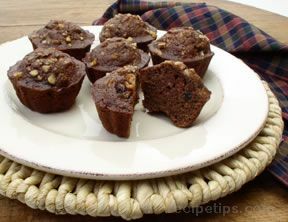 "Very good and versatile recipe - I added dates, nuts and fresh nutmeg. 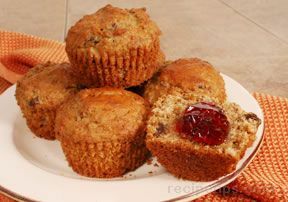 Not too sweet and very moist even though they were mini-muffins. 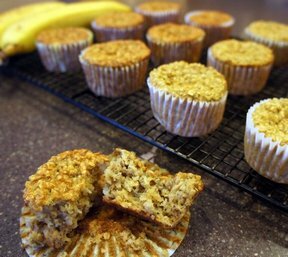 These will be a staple in our home."